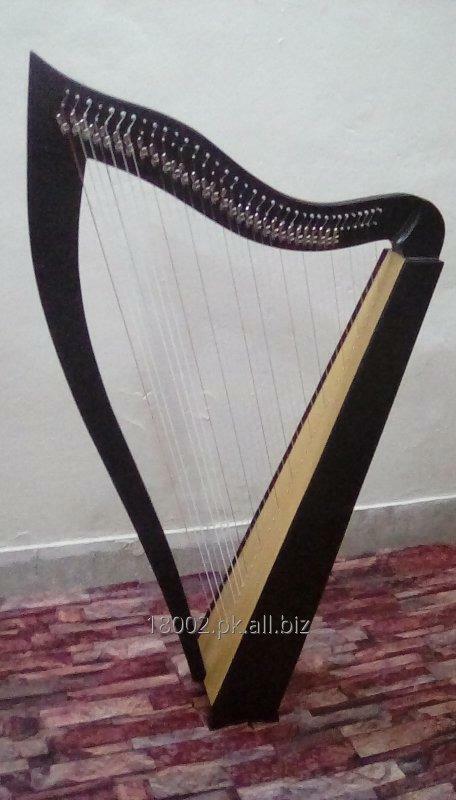 ALL.BIZ Pakistan Pakistan products Art objects Musical instruments and equipment Stringed Musical Instruments Harp Celtic Harp 36 Strings with brass levers with bag & Key. Celtic Harp 36 Strings with brass levers with bag & Key. Number of strings36 Strings pcs. Celtic Harp Rosewood 36 Nylon Strings with Brass levers with Bag and Tuning Key. * Birch Soundboard and box. * Frame is beautiful Celtic design. * This model of harp is 51inches high. * Note range of this harp is from C2 to C7. *This harp comes with extra strings set, harp tuning tool and a gig bag for this harp. All harps are Tested with Top Quality Machines! All harps are tuned with automatic computers! Great choice of professional Musicians and Music Lovers! We accept only payment by Bank Wire Transfer, Western Union, Money Gram. We will ship item through worldwide DHL,SKynet,Fedex, Courier with Online tracking number.